The siren song of my film-blogging peeps has sucked me once again into listville, and this time the subject is being left to the discretion of the individual. Some folks are doing their favorite movie theaters (I don’t have 10 of those), some are doing their favorite movies of the year thus far (I don’t even have 2 of those), and the other topic du jour is favorite actors and actresses. That’s a topic I can get behind, but the scope is so monumental! An all-time favorite top ten actors or actresses list would take me forever, and I wouldn’t even know where to begin… I kept on making lists of actors and actresses of various nationalities, eventually deciding this was too OCD to pass muster as I had to make different versions depending on whether I was allowing living or dead people to factor in. Then I tried to go super-narrow with Living Japanese Actresses, but that was also specious, since people like Meiko Kaji ranked high, even though she hasn’t made a film of any sort since 1988, and the last time she made a good film was 1974. Thus, the intense specificity of my list. Actors only, first of all. Yes, there are ten excellent living performers from any given Asian nation, but I wanted to cast my net a little wider and highlight my favorites… Onward! Interesting! Even I am interested by these results. I would like to go back in time and accost my former self, drawing up this list last night, and see if two more drinks would’ve put Sam Lee on the list. We will never know. This is really nice, actually, because, even though I’ve seen most of these movies with you, I haven’t really thought of the personae of each of these actors like I have for American (and British and Austrailian) actors, maybe since their faces aren’t splashed all over people, or the Academy Awards for that matter. I should have said something sooner, but a very good list. 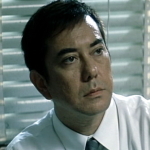 You remain the undisputed go-to-guy on Asian cinema in our little NYU alumni corner of the blogosphere. Jane and I recently realized that we needed to watch Happy Together again, and did so. Damn, it’s good, and it reminded us that Tony Leung has some sort of aura of awesomeness surrounding him. I also realize that I haven’t seen most of the films on this list. I must now go and rectify that.